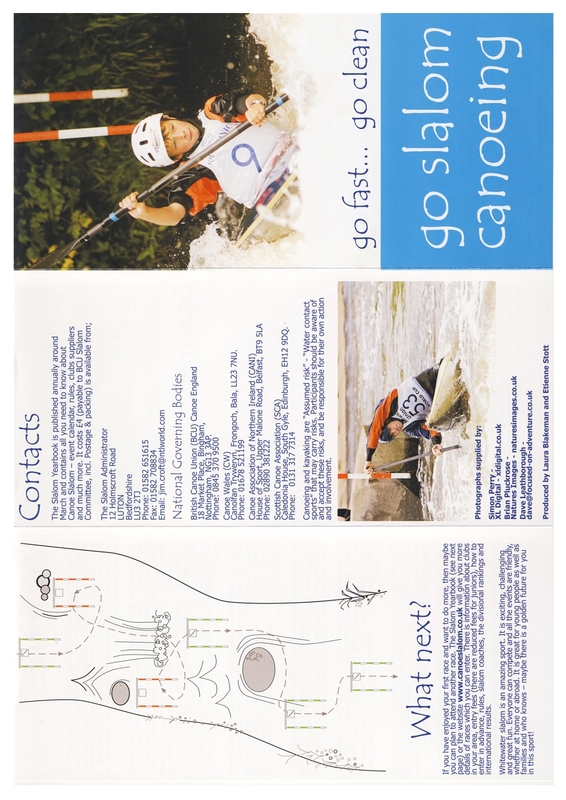 Canoe slalom is one of the most spectacular watersports, demanding skill, stamina and courage. The aim is to run a rapid river course marked by “gates” fast, and without touching. A “gate” is two poles, suspended over the water. Green and white gates are negotiated in a downstream direction, red and white gates upstream. A touch is penalised with 2 seconds added to the competitor’s time. Missing a gate or doing it incorrectly costs 50 seconds – a wipeout in serious competition. Each competitor makes two runs down the course and the fastest run counts. Five classes compete: Mens and Ladies Kayak, Mens and Ladies Canadian Singles and Canadian Doubles; there are also classes by age – J12 (12 years old and under) J14 (14 and under) J16, J18, U23, Senior and also Vet/Master (35 or over). Registering for age groups in competition can often bring a trophy or a medal even if you don’t win, as events with large numbers of entrants often give awards for the highest placed paddler in their category, regardless of their overall placing. Slalom events take place throughout the summer months and well into the autumn for all levels of ability, on rivers throughout the UK. 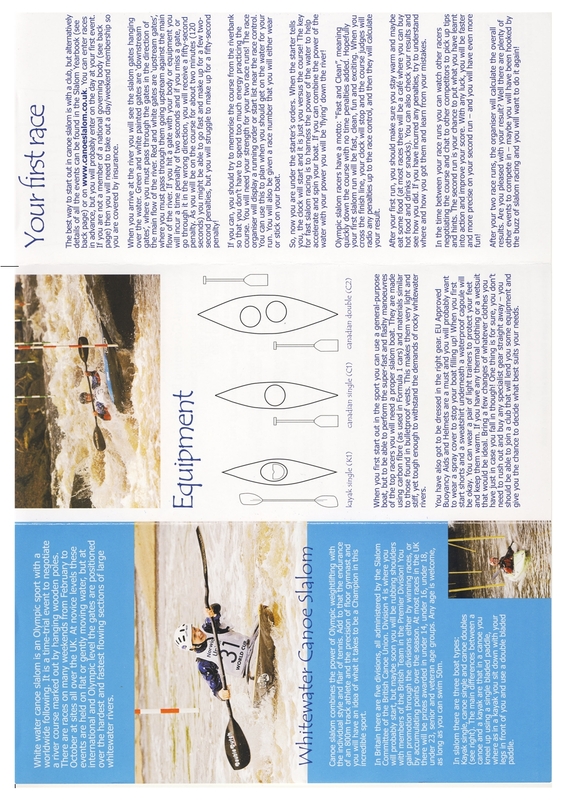 For photographs and descriptions of just some of the rivers used, see the www.canoeslalom.co.uk page. 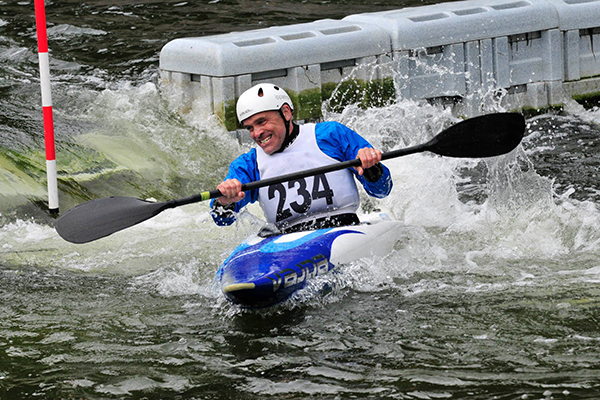 Current national rankings of the club’s slalom paddlers can be seen on the UK Canoe Slalom pages. 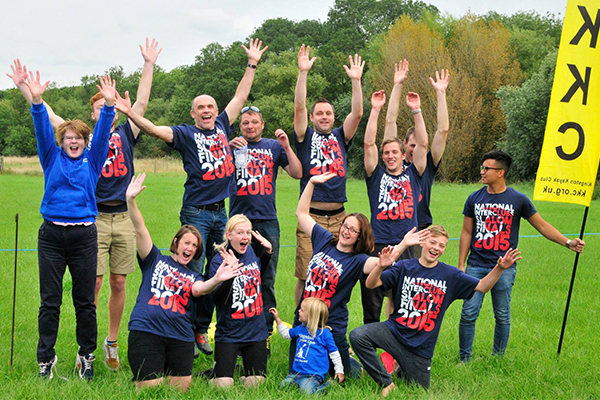 The above picture shows the 2015 Club Team at the National Interclub Championships. This is where 25 clubs compete against each other in every category. It was the second consecutive year that one of our members designed the commemorative t-shirt. Both Sam Burrow and Sam Tasker have the talent for paddling and design. For further information contact Duncan Berriman. If anyone is interested in doing some slalom this year here is a list of events we hope to attend. Suitable for all abilities and ages.